US Drone Strikes: Part of a Strategy of Global Warfare? 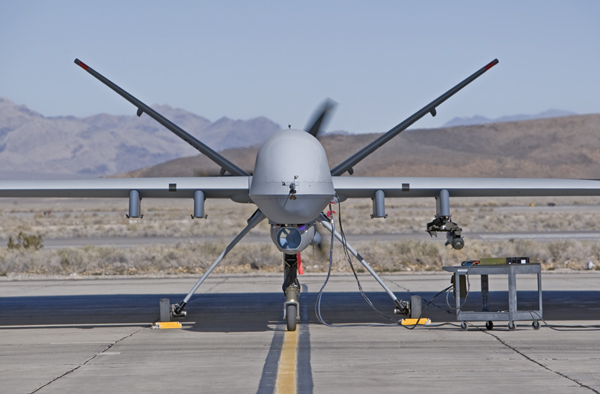 This week we have seen a US drone strike in Pakistan which was reported to have killed six people (or ‘militants’ as those killed by drones are normally labelled) and a strike in Yemen which was reported to have killed three “suspected al-Qaida militants” on the outskirts of Aden. Such strikes have become almost routine, even though international condemnation is growing with both UN representatives and former US president Jimmy Carter speaking out in recent days. Less routine was a “mystery” strike on a convoy of trucks in Northern Mali which was also reported this week. According to the Magharebia website (which it should be noted is supported by United States Africa Command) seven “terrorists” of a brigade linked to al-Qaeda in the Islamic Maghreb (AQIM) were killed while several others were injured. US intelligence officials contacted by the Long War Journal would neither confirm nor deny US involvement in the strike. The airstrike echoed that of a similar ‘mysterious’ airstrike in the Philippines in February 2012 when 15 people were killed including three senior alleged leaders of Abu Sayyaf and Jemaah Islamiyah. Although the Philippines insists that it carried out the strikes using their Bronco OV10 aircraft – experts have suggested this is unlikely. We know from the Wikileaks cables that similar claims by the then Pakistani and Yemeni governments were actually lies and that US drones had indeed carried out the strikes. President Benigno Aquino, admits that US drones operate over the Philippines buti insists they are only for surveillance purposes. While it remains unclear whether the US has undertaken drone strikes in Mali and the Philippines it looks increasingly likely that drone strikes will continue in Afghanistan and Pakistan after the bulk of US forces leave at the end of 2014. Former US Ambassador to Afghanistan Karl Eikenberry (and previously a US General serving in Afghanistan) argued in a keynote speech to the International Institute of Strategic Studies (IISS) that “drones play a very important role in Afghanistan and Pakistan” and would in fact ”play an even more important role” in the region after US withdrawal.